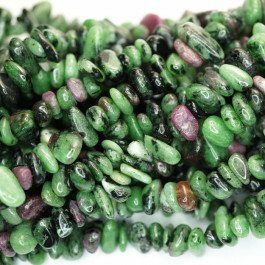 Ruby Zoisite Chips 5x8mm (~160pce Strand) - 91cm /36'" Strand. 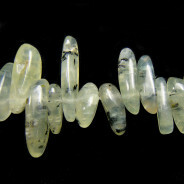 Sometimes referred to as “Ruby in Zoisite”, Zoisite is also known as Anyolite, a calcium aluminum hydroxy sorosilicate. 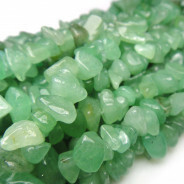 Ruby Zoisite is a relatively new gemstone first being discovered in Tanzania back in 1954. 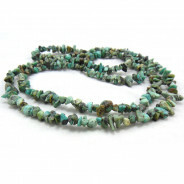 The name Anyolite derives from the word for "green" in the native language of the Masai tribe. 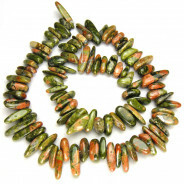 These natural opaque gemstone beads contain Zoisite/Anyolite (green), Tschermakite (black) and Ruby (red).